The logistics industry has called on the UK government to ensure continued free trade and no “disorderly” exit from the EU, after politicians last night rejected the Brexit deal put forward by prime minister Theresa May. Ms May, who lost by 230 votes, now has just three days in which to come up with a plan B, while also fighting a vote of ‘no confidence’ in parliament. Forwarders have today urged the government to avoid a no-deal Brexit. “The House of Commons has made a historic decision which we need to respect,” said Kuehne + Nagel CEO Detlef Trefzger. “Kuehne + Nagel is committed to global free trade in principle which ensures prosperity for everyone. So from our perspective, “No Brexit” would be the preferred solution, since any form of Brexit is bound to increase trade barriers. BIFA director general Robert Keen also urged “responsible bodies” to prevent a no-deal outcome. But he said BIFA members were “ready, willing and able, to clear up the mess that has been left by politicians”. “The rejection of the deal leads BIFA to recommend that our members, which are the companies that handle the processing of most of the UK’s visible trade, to prepare on the basis that there will be a hard Brexit. But James Hookham, deputy CEO for the Freight Transport Association said logistics could not be the “whipping boy for politicians who have failed to take into account the complexity of the supply chain over the past two years. His words were echoed by Richard Ballantyne, chief executive of the British Ports Association, who said many in the sector would have “real concern” over the possibility of a no-deal Brexit. Agency Sector Management (ASM), however, moved to calm logistics players’ fears, pointing out that the government had developed contingency plans for a no deal. “A lot has been said recently about the chaos that will ensue at Dover and other roll-on, roll-off (RoRo) ports if we leave the EU on 29 March without a deal,” said Peter MacSwiney, chairman. However, he added: “To have an entire country as unprepared as we are with just months to go should send alarm bells ringing. At this late stage the UK trade community are in dire need of clarity and information, so they can begin making the necessary preparations. The UK government now has three options, given that it is unlikely a new deal can be made with the EU. 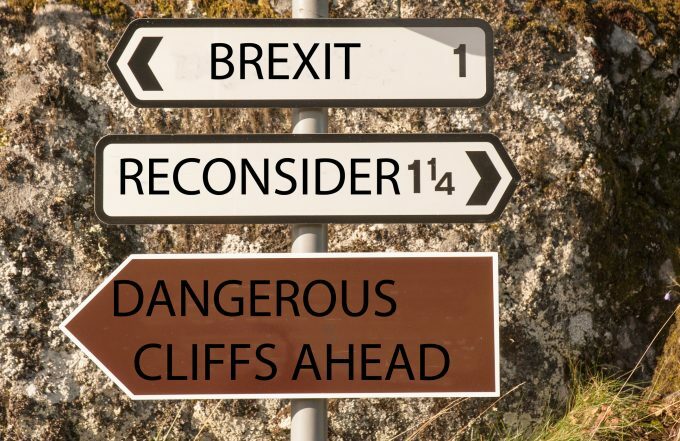 It can choose a no-deal Brexit, a preferred option by hardliners, it could extend article 50 – effectively delaying any exit from the EU, or allow a second referendum, which could potentially result in no Brexit at all.